We’ve got a great MOJO New Item Round Up for you. As usual our fantastic sellers have continued to add the most premium themes and templates to the marketplace and we’re going to highlight a few for you today! 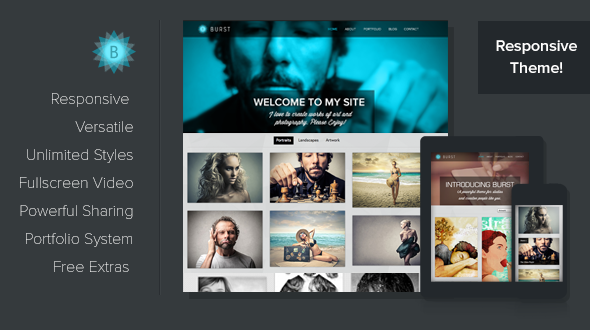 Burst WordPress Theme – is a fully responsive theme thats perfect for art and photography websites. The control panel makes customizing your site so easy. Change your background texture, fonts, logo and more to make your site uniquely yours. Burst also features robust sharing capabilities to share your work across all major social media sites. 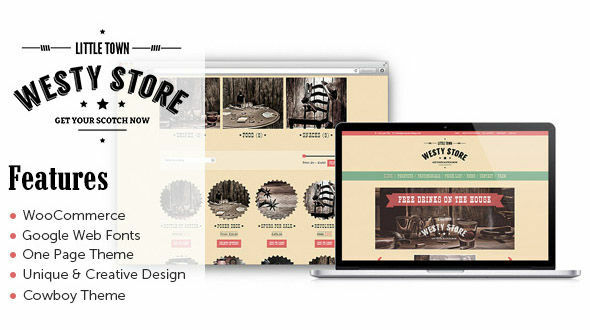 Westy WordPress Theme – is a one page WooCommerce theme featuring a “Wild West” design. It is very flexible, with a rugged and retro design that is suitable for any kind of site. Westy has a premium Page Builder and a convenient admin panel which will make your life a lot easier. Customize to your hearts desire. 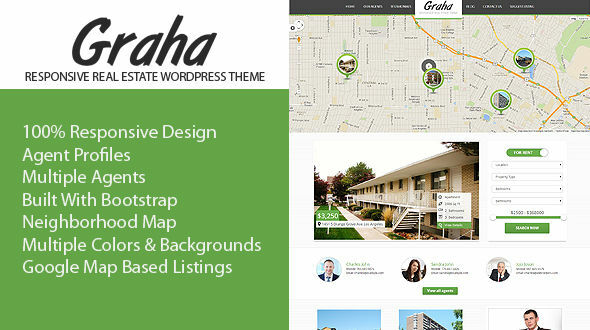 Graha WordPress Theme – is a responsive real estate theme suitable for both real estate agents and real estate companies. It has a Google Map for property listings, customizable backgrounds and colors, a search form with price range options and 360 degree image displays. Graha also lets you manage multiple agent profiles. 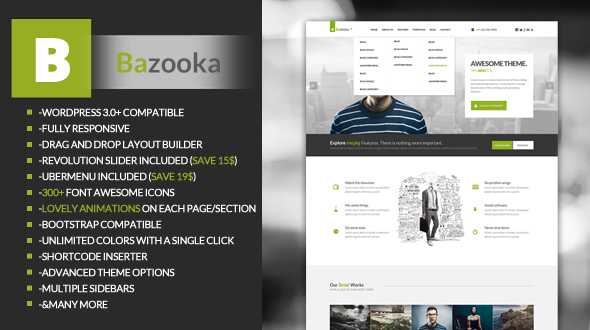 Bazooka WordPress Theme – is a responsive theme great for any type of business website. It has unlimited color options, multiple sliders and powerful short codes. Bazooka features a drag and drop layout builder, UberMenu plugin, custom widgets and over 300 Font Awesome Icons. There is also animations available on each page and section. 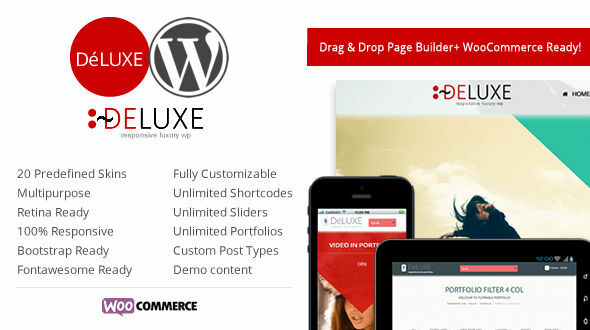 Deluxe WordPress Theme – is suitable for any type of website – business, portfolio, photography or blog. This theme comes with unlimited skins, easy admin panel and many other features so you can customize. Deluxe gives you a modern theme with pre-defined widgets and pre-installed plugins, plus fast and reliable support! 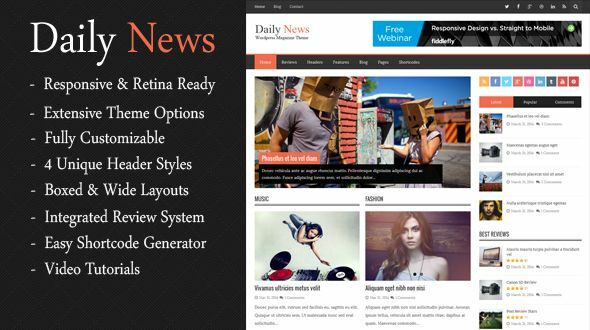 DailyNews WordPress Theme – is a clean and fully responsive theme for news and magazine sites. This theme is powerful with custom widgets, theme options, unlimited colors. DailyNews features a review system, custom sidebar, custom background and much more. 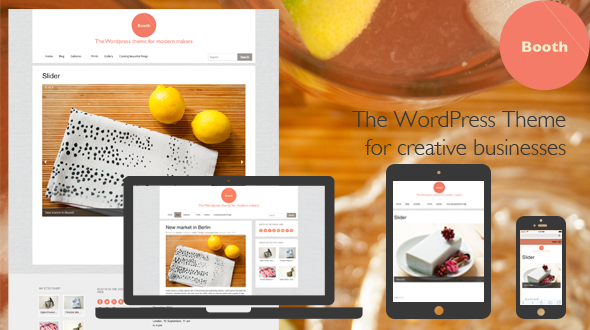 Booth WordPress Theme – is a theme based on the Reverie Framework and ZURB’s Foundation. Created with the small handmade business in mind, it comes with amazing tools to help you shape your online presence and better sell your amazing products. Booth is responsive, child-theme friendly, highly customizable and comes with many amazing features. 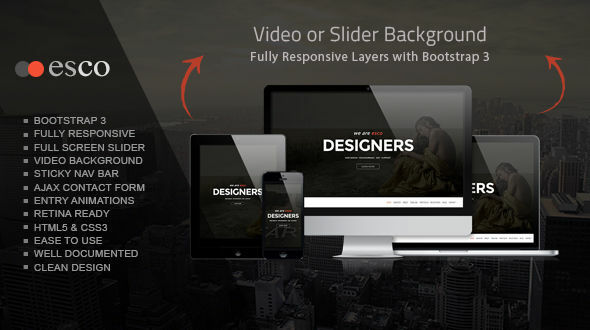 Esco Website Template – is a creative, single page HTML5 template great for various projects. It’s based off of 1170px fully responsive Bootstrap grids. Esco has video and slider background options, a sticky navigation bar, entry animations and an Ajax contact form. Shield Website Template – is a retina ready template great for businesses and portfolios. The structure of the model uses the famous Bootstrap framework 3.1.1 and for almost all of the icons includes Font Awesome. 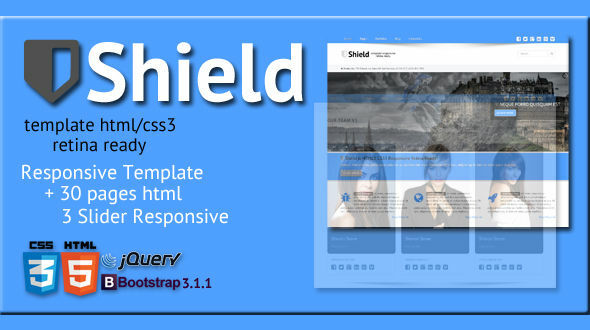 Shield is composed of more than 30 HTML pages divided into various categories. The entire site uses the best technology of the time including FluidVids.js for automatic resizing of videos Youtube or Vimeo, jQuery Nicescroll for a pleasant scroll page, and jQuery Fraction Slider a slider images with countless innovative customizations. 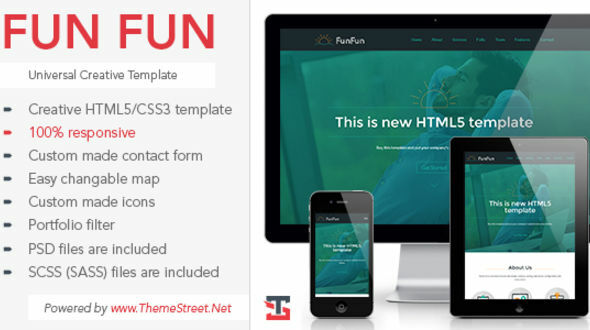 Fun Fun Website Template – is a creative one page HTML5/CSS3 template which is fully responsive. 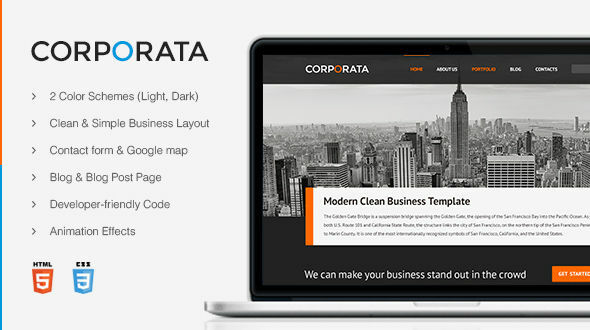 It’s so versatile you can use it for agency, corporate, non-profit, freelancer or general business websites. Fun Fun features an Ajax contact form, video and image gallery with filters and Google Maps. Come see all of the awesome themes and templates that didn’t make it into the New Item Round Up!